It is an unfortunate but true fact that the act of experiencing architecture is often pretty melodramatic. Sometimes the experience can be downright dull. Fortunately, however, the experience can also be extremely gratifying. Why is that? I think it can be safely said that different spaces elicit different emotions. This connection between architecture and psychology is one worth exploration. The architect and academic Grant Hildebrand conducted extensive research on this topic. He identified a handful of qualities that are evident in successful works of architecture. In my view the two most significant qualities he identified are prospect and refuge. Our desire for these qualities is embedded in our DNA and dates back to mankind's beginnings. Hildebrand uses the noun tense of these words. Prospect refers to an extended or expansive view. As a counterpoint, Refuge refers to a small, intimate space. Frank Lloyd Wright was aware of these qualities as well. He referred to refuge as nesting and to prospect as perching. A successful work of architecture will inevitably contain both of the qualities. The ideal ratio of one to the other is elusive. It varies depending on pragmatic parameters, such as the location of the building site, and individual characteristics, such as one's gender and personality traits. 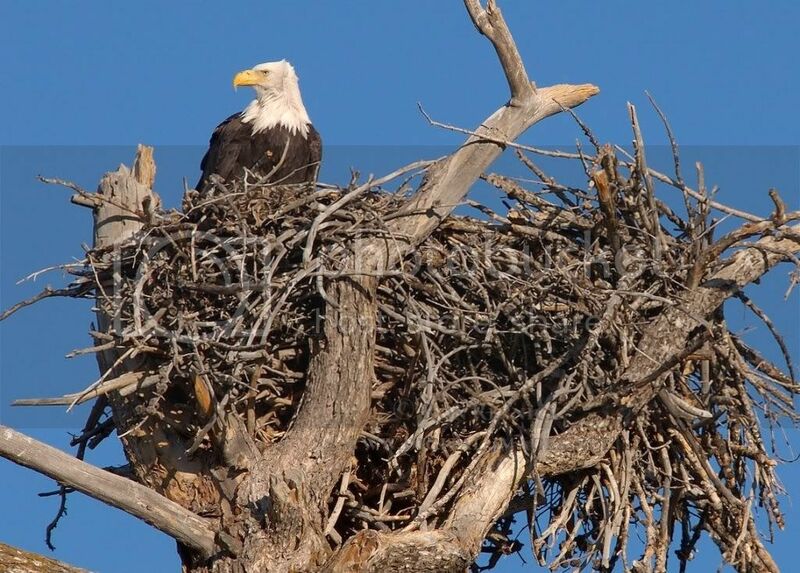 Generally women tend to favor more nesting (refuge) while men tend to prefer more perching (prospect). Spaces within the work of architecture normally contain a balance of both qualities. Let's explore how these qualities are used in the hands of a Master. 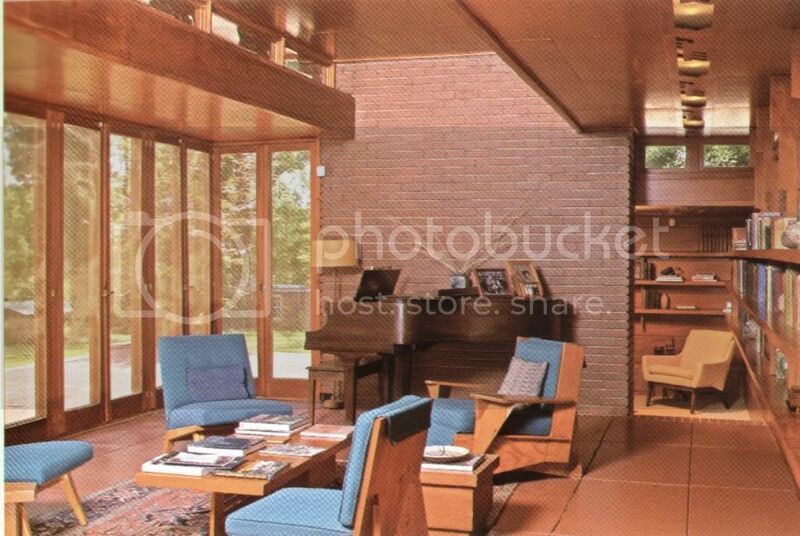 Florence Alabama boasts the only Frank Lloyd designed house in the southeastern United States that is open to the public - the Rosenbaum House. 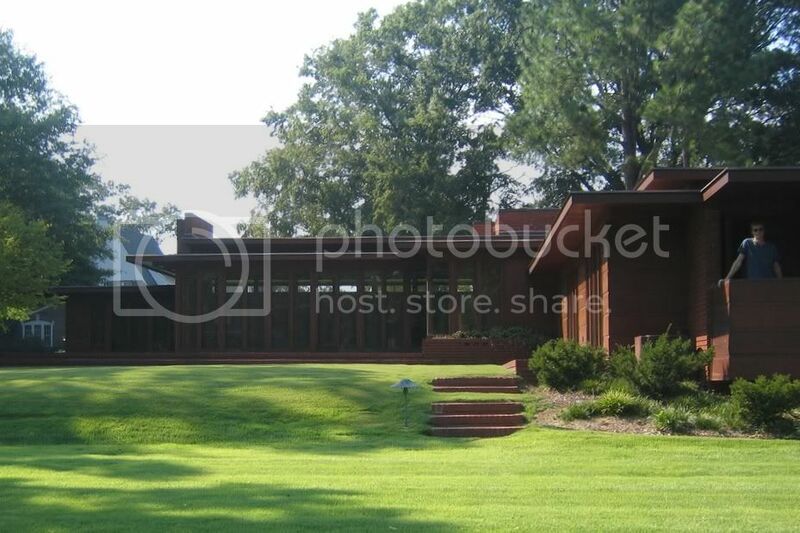 It is the second in his series of Usonian Houses (for the common man) and was completed in 1939. I take my students on a pilgrimage to this house every year and have "experienced" it dozens of times. It still impresses me! 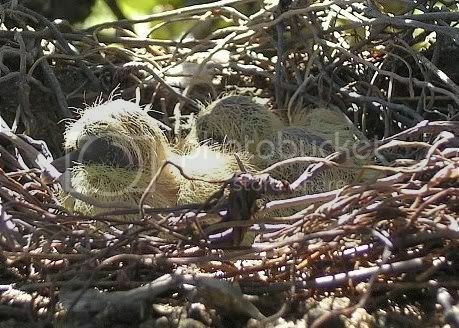 The qualities of nesting and perching are used throughout, in a variety of ways and in various combinations. Stanley Rosenbaum's Study exemplifies the quality of nesting. The Study is right off of the Living Room. It is is tucked (not buried) into the ground, giving it a feeling of separation. The low ceiling and small size make the space feel cozy. The wood walls and the small fireplace (out of view) add warmth to the mix. 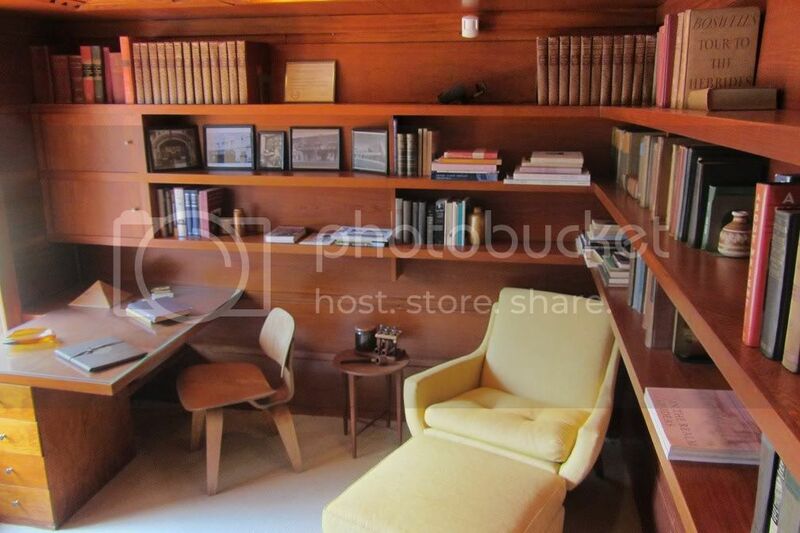 The upholstered chair tucked into the corner surrounded by books provide creature comfort. The desk provides a space for study and reflection. Wright provided both interior and exterior spaces which allow for perching. The rear of the house (which Wright called the front) unfolds to the exterior and directs the occupant's view to the meadow and, before adjacent development, the Tennessee River beyond. Full glass doors provide views from both the public and private areas. Screen doors allow for breezes. A small perch is placed off the Master Bedroom (see right side of photo above) where the occupants can stand outside, drink their coffee, and enjoy the view. The late architect Paul Rudolph once called the Rosenbaum's Living Room "one of the most sublime spaces in American architecture." With a raised ceiling over clerestories, full glass doors, and concrete floors that extend to the exterior, this room is definitely a perching space. Note that the Study, a nesting area, is only loosely separated from the Living Room. No door here. The floor pattern, light fixtures, and bookshelves link these two very different spaces. An understanding of the link between psychology and architecture allows the skillful designer to create, differentiate, and link spaces, thereby creating successful works of architecture. Next time we'll look at the connection of man to nature, and the subsequent connection of nature to architecture. It all begins......In the Beginning. Another fine architectural post, Darryl. I'll share it with my wife - we enjoyed a tour of the Rosenbaum House last year.